The Australian LGBTI Awards have released their short list of nominees ahead of the red carpet gala next year. This year over 6,000 Australian LGBTI+ people and allies were nominated across 16 categories, including Inspirational Role Model, Sports Personality of the Year and Community Initiative/Charity. Nominees include marriage equality activist Sally Rugg, author Benjamin Law, drag performer Courtney Act, Senator Dean Smith and comedians Jordan Raskopolous and Magda Szubanski. The AFL Pride Game, Headspace, RU OK? and Safe Schools have also received nods as community initiatives. 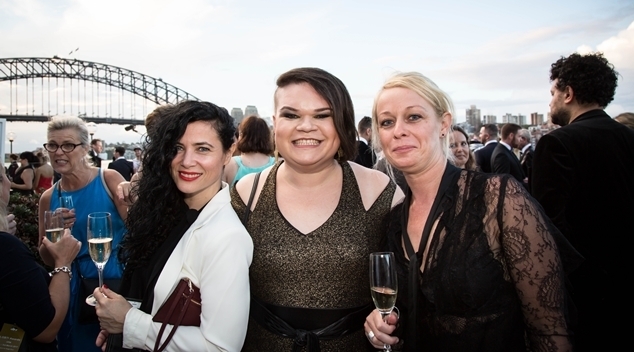 Australia LGBTI Awards Director Silke Bader said 2017 has been a rough year for the LGBTI community. “We’ve had the legitimacy of our relationships debated in the public domain for months, advertisements and posters spreading hate and lies and the entire nation voting on our rights to marry,” Bader said. Winners of the awards will be announced at a special red carpet gala in March next year. Public voting is now open. Head to australianlgbtiawards.com.au to see the full list of nominees and cast your vote.